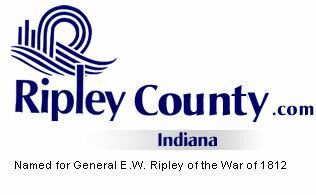 The Ripley County Council met on Tuesday, June 20th, 2006 at the Ripley County Annex in Versailles, Indiana. Pat Thomas, Health Department presented additional appropriations from the Health Maintenance fund. Council Member Armbrecht presented concerns due to appropriations more than funds available. Council Member Busching made a motion to deny the appropriations of $29,375.98 from the Health Maintenance Fund seconded by Council Member Dramann. Motion approved unanimously. Council Member Armbrecht made a motion to approve the additional appropriations from the Health Maintenance Fund, $5,500 from Fund #245-11231-000-037/ Environmental Health Assistance, $1,224 from Fund #245-12600-000-037/Social Security, $465 from Fund # 245-18100-000-037/Perf, $8,828 from Fund # 245-11251-000-037 Health Educator/PHN Assistant seconded by Council Member Simon. Motion approved by Dunbar, Simon, Armbrecht, Smith, Dramann & Peetz. Council Member Busching voted against. Council Member Armbrecht made a motion to approve the additional appropriation of $3,000 from the Environmental Travel Fund # 214-34802-000-034 seconded by Council Member Dramann. Motion approved by Dunbar, Simon, Armbrecht, Smith, Dramann & Peetz. Council Member Busching voted against. Council Member Simon made a motion to approve the additional appropriation of $7,800 from the Fund # 425-36103-000-050 Park & Recreation/Repairs seconded by Council Member Smith. Motion approved unanimously. Council Member Armbrecht made a motion to approve the petty cash fund of $100 for the Ripley County Probation Department seconded by Council Member Dramann. Motion approved unanimously. Julie Schafer, Life Time Resources presented a budget request of $28,000 for the 2007 budget. Heart House presented a budget request of $5,000 for the 2007 Budget. Council President Dunbar updated the council on the financial committee meeting and advised that the recommendation of the committee was for each office to present a 4% raise increase with a no cap. Council Member Armbrecht advised that this is assuming that the budgets are approximately the same as in 2006. Council will go over the request and make a decision at the budget hearing. Commissioner Reiners advised the council members that the county will receive a credit of approx. $31,000 from the Health Insurance. Economic Development-Edward Armbrecht- hired a clerical person for the ED office. Solid Waste District-Donald Dunbar- Meet last week. Welfare Committee-William Dramann-Annual Report available. Council Member Dramann made a motion to adjourn until the next regular meeting on Tuesday, July 18th, 2006 @ 7:00PM seconded by Council Member Smith. Motion approved unanimously.